Madurai, the second biggest city in Tamil Nadu is widely known for its acclaimed Meenakshi Temple and jasmine flowers. The flower market in Madurai attracts a large number of tourists from different parts of the country. People from nearby places visit the flower market to purchase some of the best varieties of jasmine flowers. Popularly known as Madurai Malligai, the Malli plant thrives in the nearby areas of Madurai such as Natham, Melur, Thirumangalam, Perungudi, Uthappanaickanur, Nilakottai, Aruppukkottai and much more. The charming flower has a unique link with the Madurai city dating back to 300 B.C. Few reports have estimated that the flower played a major role during the Sangam literature. It is believed that Parthan (King of Ayodhya) became “Malleswaran” after his worship towards Lord Shiva in a forest filled with jasmine creepers. Madurai Malligai has close connection with the Hindu religion for the past centuries. Usually, the people use these holy flowers for Puja, Temple Alankaram, religious purposes, symbolic offerings for gifts and so on. Further, the Malligai can be seen in all the special ceremonies like birth, puberty, wedding, anniversary, betrothal and death. Madurai Malli is categorized into various types which include Gundu Malli, Namma Ramabanam, Ambu Malli, Iruvatchi, Ooru Malli, Kasthuri Malli, Madhanabanam, Iruvatchippoo, Oosi Malli and Single Mogra. The 'Madurai Malli' buds range from round to elliptical with short or medium corolla tubes having three to four whorls of petals. The malligai has been portrayed in Indian paintings, sculpture, jewelry and other forms of visual art. Painters make use of the malligai flowers to get a religious picture of the painting. Added to this, the jasmine is featured in traditional jewelry such as pendants and necklaces. It is important to know that the jasmine flowers in the city are exported to major countries like Germany, Italy, America and India. The Madurai Jasmine holds a unique aroma and these flowers are extensively used in the fragrance industry. Some of the big European manufacturers obtains jasmine and utilise in the production of cosmetic products like soap, oil and shampoo. The buds of the jasmine flowers are wrapped in banana leaves and transported to different countries. If you are interested to see the different varieties of flowers, then make a visit to Madurai flower market. People can take an inbound bus or hire a cab to reach the flower market. It is exactly located between the Central Market and the Maatuthavani Bus stand. Further, the Madurai Administration has taken effective methods to develop the Madurai flower market to a great extent. 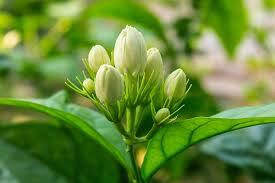 The Minister of State for Commerce and Industry is planning to increase the export of the Madurai jasmine flowers. Recently, the Madurai Malligai has been awarded a geographical indication tag from the Geographical Indications Registry. Most of the farmers were pleased to hear this endorsement with their crop. With its GI Tag, Madurai Malligai will be easily identified in the global market. The geographical indication label enables to preserve the biodiversity of Madurai and also protect the rights of the jasmine flowers. The price of Madurai Malligai will be higher between the Tamil months of Chithirai and Aadi. 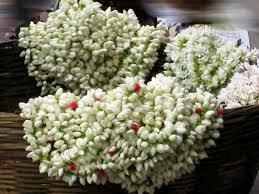 Currently, the flower owners are selling the jasmine flowers at a price of Rs 1000 per kilogram.